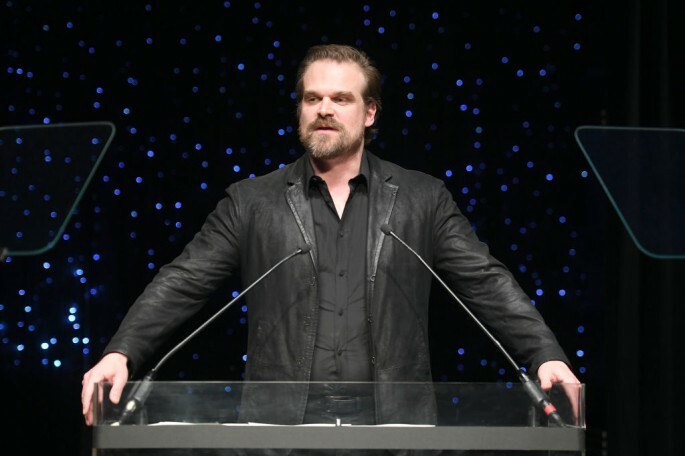 A new "Hellboy" movie is in the works, and this time, they've got "Stranger Things" star David Harbour taking on the titular role, replacing Ron Perlman. The new "Hellboy" film will breathe new life into the franchise, as "Game of Thrones" director Neil Marshall is set to replace "Hellboy" and "Hellboy II: The Golden Army" director Guillermo del Toro, Variety reported. "Hellboy" comic book creator Mike Mignola broke the news about the reboot through his Facebook page, adding that the new film is aiming for an R-rating. Fans have been asking for a follow up to the 2004 and 2008 "Hellboy" films. In 2016, Perlman shot down rumors by saying "Hellboy 3" is probably not happening. On the other hand, del Toro was reportedly pitching a story for the threequel and at the same time attempting to secure a bigger budget for the film. In February this year, the acclaimed director announced that his version of "Hellboy 3" will not happen. Mignola did not go into detail about the extent of the reboot and the direction the "Hellboy" franchise is going to take now that a new director and lead star have been attached to the film. Mignola, however, revealed that he will help write the script for the film which currently has the working title "Hellboy: Rise of the Blood Queen," The Verge reported. So far, no release date and production start has been announced. Only Harbour has been confirmed for a role in the film. Given that the next "Hellboy" film will be a reboot, it's unlikely Selma Blair, Doug Jones and John Hurt will reprise their roles. Harbour's star is rising quickly following his lauded performance in Netflix's hit show "Stranger Things." The 42-year-old star reportedly met producers for the role of Cable in "Deadpool 2," which eventually went to Josh Brolin. Response to Harbour's casting has mostly been positive, with many seeing him as a good replace to Perlman as both share the same physical features and husky voice. The first two "Hellboy" movies were box office successes and secured a strong cult following for the franchise. The first film earned $60 million domestically and $40 million internationally on a $66 million production budget.